Did you know Sagentia owns 100,000 sq ft of dedicated research and development facilities? 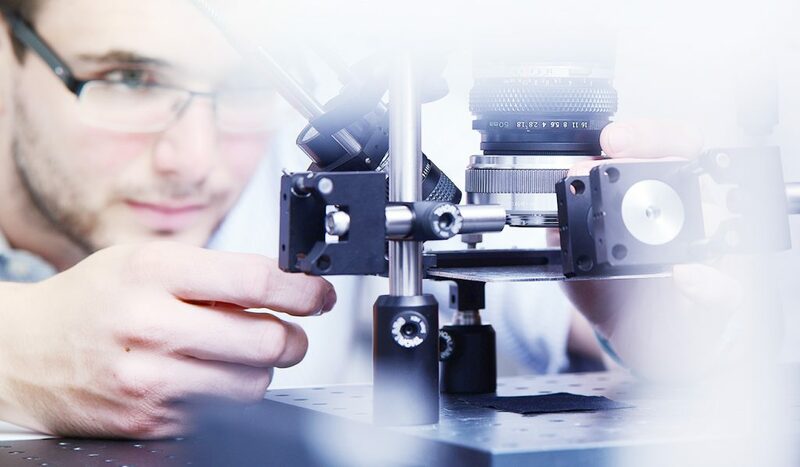 This R&D real estate includes specialist laboratories for optics, chemistry, electronics and environmental testing. We offer clients modern 3D printing approaches, a fully-equipped machine shop for rapid prototyping, a wet lab, acoustic lab as well as secure and private suites for client confidential projects. Sagentia has advanced systems for virtual product design, tailored software development processes and tools for agile, high-quality software development.